Some people tend to find inconvenience under atmospheric precipitation. They fear to get wet, to get cold, to soak their hair, to ruin their makeup, to get lost in the fog, or to be drown in sadness. Of course I am not talking about getting outdoors during a severe natural disaster. I’m insinuating getting outside and benefitting from the fresh air while the sky is grey, the temperature is chill and raindrops fall from the clouds. We don’t need to be kids to fill in warm clothes, a waterproof jacket and rubber boots. Adults can also find amusement in jumping in puddles and mud under a drizzle or a heavy downpour. At least, I do. I enjoy those simple pleasures and as childish as it sounds, it makes me happy: It makes me present in the moment. The Sea-to-Sky Country offers 5 stunning waterfalls: Shannon Falls, Brandywine Falls, Alexander Falls, Rainbow Falls, and Nairn Falls. 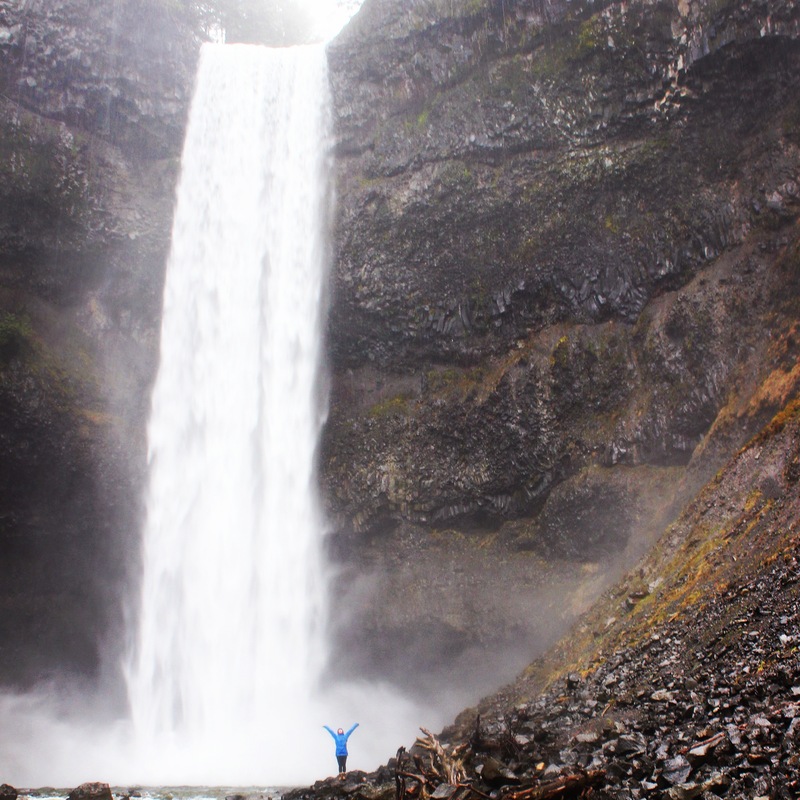 Most of them are just a short hike from the parking lots, allowing you to wind through magical and impressive rainforests before accessing impressive rushing and crashing cascades. There is nothing I like more than walking through a forest under the rain. There is something so soothing about the sound of the rain falling through the tall trees, the freshness of the air and the scent of the earth soaking every drop. There is something so relaxing and purifying about standing at the bottom of a waterfall, breathing the pure air, and feeling the mist of the water pouring vigorously in front of us. 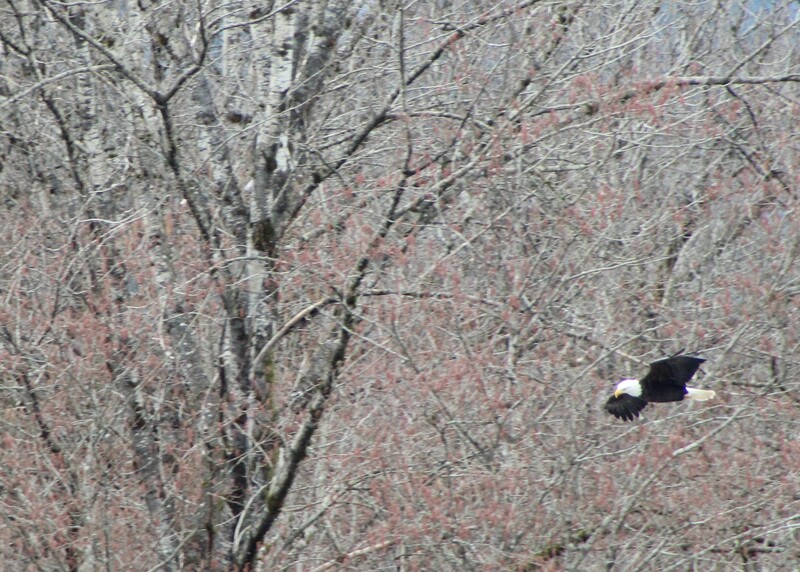 Squamish welcomes a significant number of wintering bald eagles from all over the Pacific Northwest each year. They congregate along the Squamish and Cheakamus Rivers to feed on salmon carcasses. It is a great spectacle to observe them perched in the trees, or flying gracefully above the water. The large gathering of eagles is prominent from December to March. We are spoiled with two incredible, natural and road-accessible hot springs. Key Hole Hot Springs are found 100 km from Whistler, down Pemberton Meadows and up the Upper Lillooet Service Road. Sloquet Hot Springs are located about 142km from Whistler, and most of the drive is on the In-Shuck-Ch Forest Service Road, a gravel road along Lillooet Lake (be aware that snow might cover the road up to Sloquet. Watch the road conditions before you head up). What’s better than to soak in the warmth of mineral-rich pools, tucked into the wilderness, while the rain falls over your head. If you have a cross-country bike, you are up for a treat. 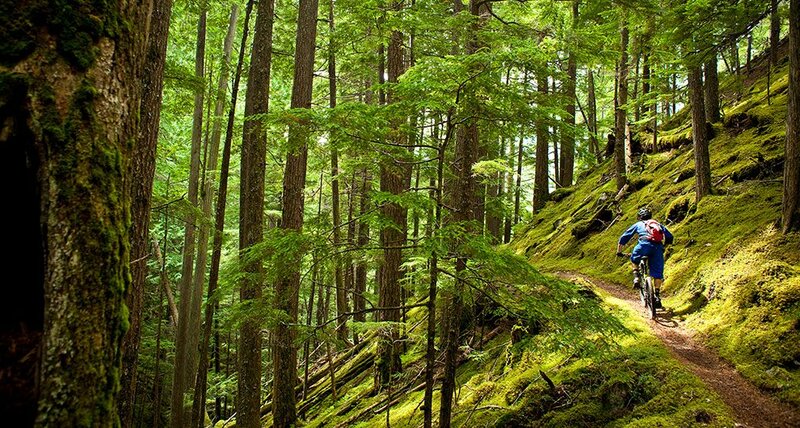 The Sea-to-Sky Corridor has an extensive trail network to explore, rain or shine. Squamish has the best spots to bike in the winter, due to its lack of snow at lower elevation. While mostly sheltered by the thick trees, you can find challenge in pedaling up and down muddy and wet surfaces. There is something cleansing about biking under the rain through the rainforest. A sense of pure joy and freedom. If you can’t find any friends willing to embrace the rain with you, why not drop in at your local shelter and see the possibility to walk a dog? Dogs don’t complain about being wet or cold. They wear the warm fur and will wag their tail at the idea of playing in puddles and mud with you. Not only does it allow you to get outside and get some fresh air, but you are also helping a furry friend to stretch its legs. Dog shelters welcome responsible dog lovers to apply as volunteers and drop in to take a dog for a walk. To know more about these services, visit: Whistler Wag, Animal Control and Pound, and SPCA. So next time you see the rain, dress properly, wear the right attitude, and embrace the weather. Trust me, bad weather often looks worse from a window. So get out there and get wet!